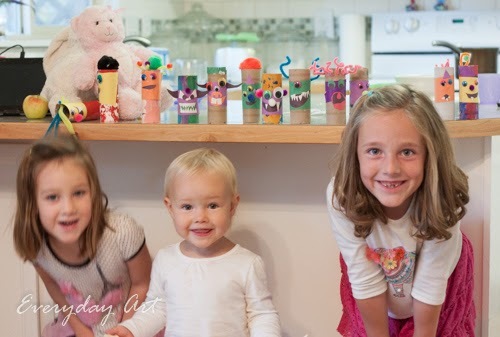 The kids informed me that it had been a really long time since we had done a fun craft. Which was true...we tend to do that sort of thing only in the colder months--if it's nice, we are outside!!! 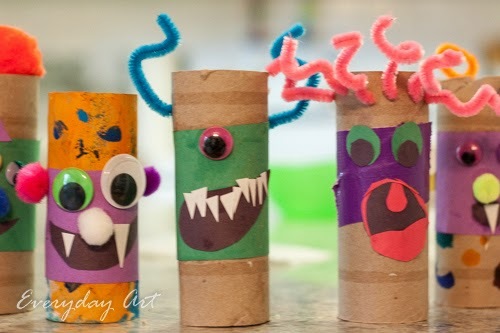 So, I found some fun ideas for them and they picked the toilet paper tube monsters. I'm shocked how well it went--even my not-quite-2-year-old participated and enjoyed it. 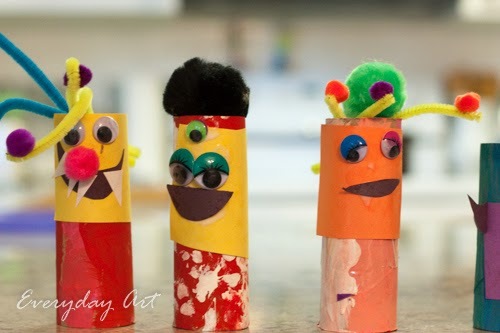 Luckily we had all sorts of fun supplies on hand: pom poms, pipe cleaners, construction paper, googly eyes, glue, and pre-painted tp tubes (yeah, I realize that is an odd thing to have "on hand" but we did!! left over from other craft projects). I started out by cutting out eyes, teeth and mouths and such, but in the end, they enjoyed doing that themselves, so I just let them. They came up with some creative ideas! I was impressed with their use of pipe cleaners. It was a fun afternoon. 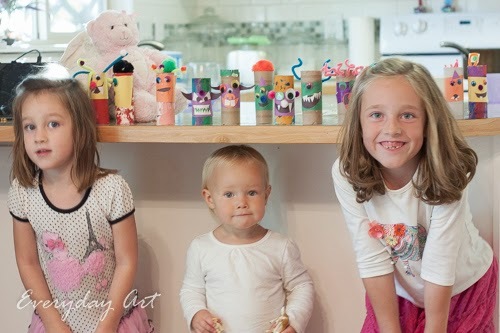 It was one of those (glorious) days that we were having leftovers for dinner, so that time of day that is usually reserved for chopping and cooking was turned into crafting and we enjoyed it.